The Multiclip Pro 50 lawnmower is a semi-professional mulching mower for those who simply want the best. Professional features include an environmentally friendly Honda GCV 160 OHC Autochoke engine and the unique Stiga anti-vibration system (AVS), which reduces the risk of White Finger or HAVS at the end of a full day's work. Other features include a sturdy galvanised steel chassis, ball bearing wheels and a friction blade holder to protect the engine from damage caused by striking solid objects with the blade. An adjustable handle makes it easy to cut into those awkward spaces, close to walls and around objects. Mulching is the easiest way to cut your grass and the innovative blade and deck design also makes the lawnmower quieter. The Stiga Multiclip system cuts and re-cuts the grass into tiny pieces that simply wilt away, returning valuable nutrients to the soil to encourage beautiful green growth. You don’t need to rake up the clippings or empty a collector, which means you cut the grass about 30% faster compared to a collecting mower. The mulching design of this model reduces the noise effect to a very low 91dB - a reduction of 3dB reduces the noise by half. The Multiclip Pro 50 is certified with the environmentally friendly SVAN label. 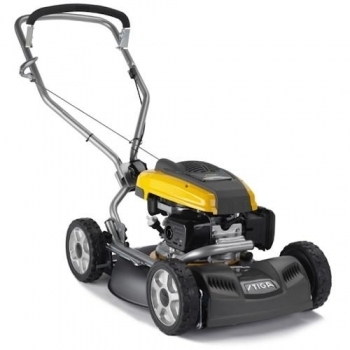 This mulching mower is coverered by a 5 year manufacturer's warranty for domestic use and 1 year for commercial use (terms and conditions apply). The large 48cm deck makes it suitable for large gardens up to 50m x 50m. 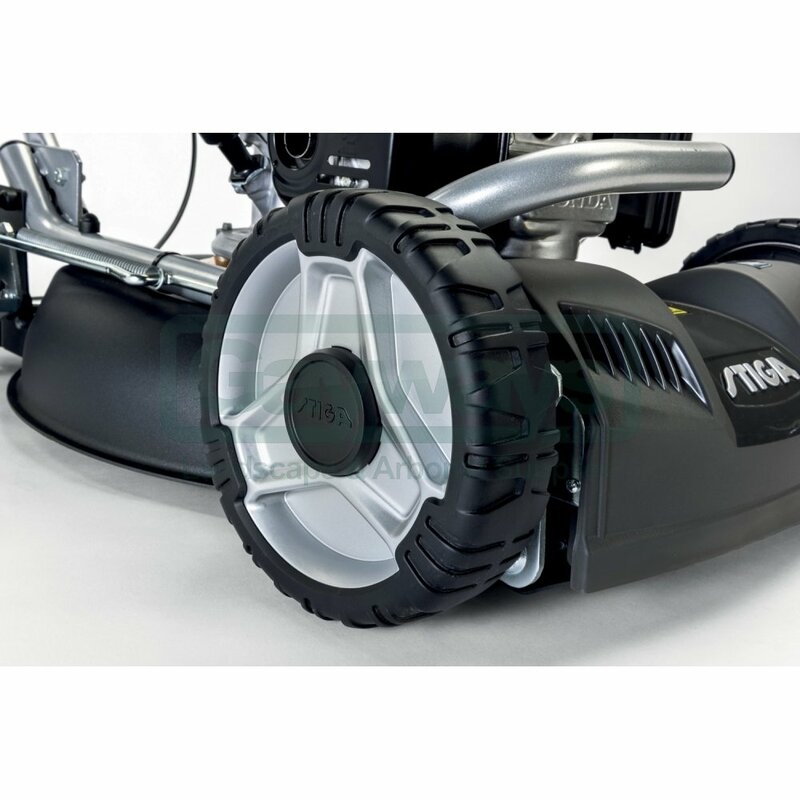 The Multiclip Pro 50 mulching lawnmower is designed for professionals or gardeners who simply want the best. Professional features include AVS, aluminium wheels, adjustable handle for cutting close to walls, 1 lever cutting height adjustment and a friction blade holder. 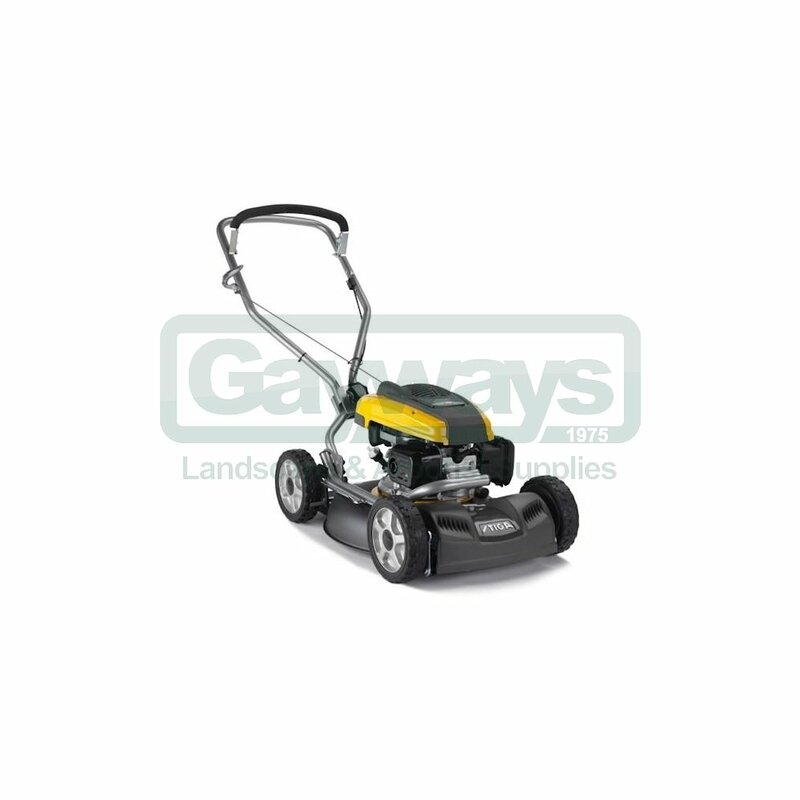 An environmentally friendly Honda GCV 160 OHC Autochoke engine and a cutting width of 48cm/19" make this mulching lawnmower suitable for larger gardens up to 50m x 50m.